This is a fan­tas­tic idea, which has so much val­ue to peo­ple with­out limbs. Bion­ic pros­thet­ics can cost up to £100,000, and £30,000 for a sin­gle hand. 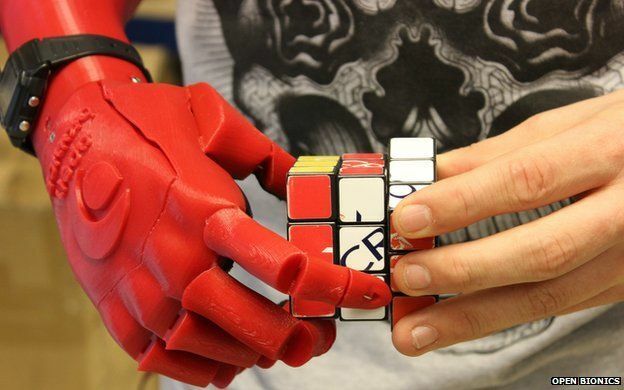 The 3D-print­ed robot­ic hand in the arti­cle costs £2,000, which is the same price as a pros­thet­ic hook, and offers sim­i­lar func­tion­al­i­ty to the top-of-the-range options. The design­er gets to devel­op his inter­est in cre­at­ing a prod­uct, while help­ing the esti­mat­ed 11 mil­lion peo­ple who are hand amputees world­wide.